Cook & Becker’s Persona 5 fine art collection just expanded its lineup with six new art prints. For those of you who are unfamiliar, Cook & Becker are known for next-gen digital art, concept art, and video game art that fit well into contemporary spaces. When Cook & Becker originally launched the collection, the company promised to include prints of all the main characters, and now that’s exactly what they have. The added art includes solo prints of Futaba, Haru, Yusuke, and Joker, plus two more pieces by Shigenori Soejima, an artist who works for Atlus. The full Cook & Becker collection can be purchased on the official website. You’ll want to act fast, because as of 8:30 am PT/11:30 am ET, the Makoto, Phantom Thieves, and Heist prints are already sold out. Prices start at $105 and each print is hand-numbered and comes with a Certificate of Authenticity. It’s worth noting that the Infiltrate and Student Body pieces also include an autopen signature from Shigenori Soejima. Print conditions range from unframed to high-end finishes/framing. Most of these works are available in both standard and large sizes. 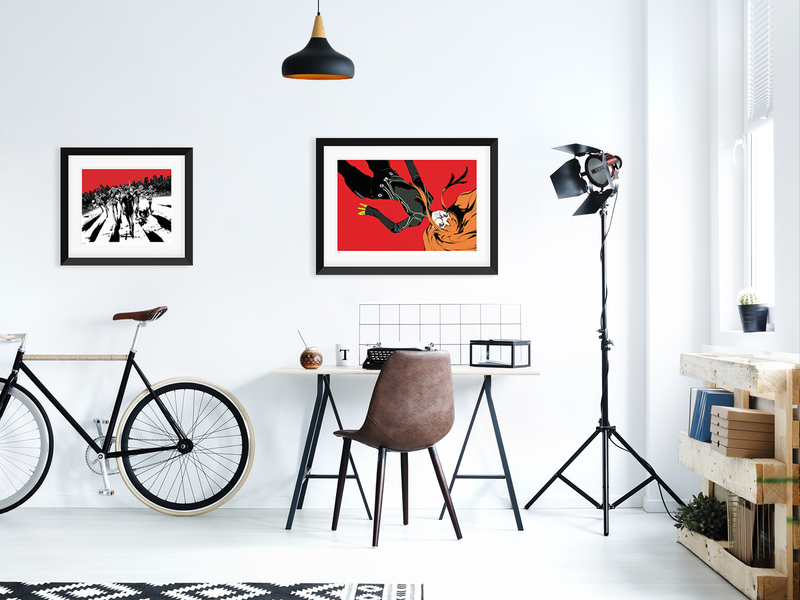 Do you want these Persona 5 prints hanging in your house? Let us know in the comments. And if you’re an art aficionado, feel free to tell us your favorite video game art piece.